Ajit is a business coach, angel investor, speaker and author with the motto of LIVE BIG. 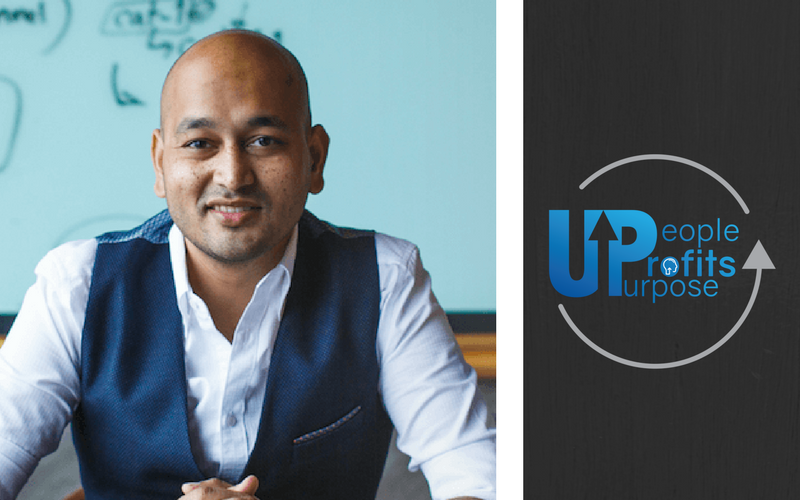 He’s the Co-Founder of Mindvalley and is keenly focussed on creating personal excellence in himself and others. Born in India to a small household of only 22 people (all in the same house) it’s pretty amazing that he’s described by most as having infectious calmness. Starting out with a lack of abundance or understanding of money in the world… most learn early that money is the most important thing – providing safety, security and is the measure of success! BUT – is that really the case? Ajit disagrees. Ajit is currently writing an edgy guide for business coaches (due out 2018) and is happy to share the core themes and how to implement them today. For a vegetarian who lists “Understanding Humans” as his super-power, in this episode Nick speaks to him about his journey from his beginnings to MindValley, his biggest lessons to date and why humans actually need a challenge! What really drives a human being? Extrinsic vs Intrinsic motivators… get things done because we care! We need challenges in our lives… we don’t want comfort. Advice for a start-up – TIP: don’t quit your day job! 01:52 So – where did it all begin? 04:40 Making money a focus? Being scared makes you do things that are safe – not fulfilling. 08:20 The “Mindvalley” story… creating personal excellence. 13:20 What explains human beings? 14:25 Intrinsic motivators (passion) and greed… finding purpose. 15:55 Humans aren’t lazy. We need a challenge – comfort not the be all and end all. 17:50 You need to give respect to people. 22:25 It’s going to be ok… best advice to give your younger self. 23:40 Who and what to take to a deserted island? 30:45 A day in the life of Ajit? Rituals and routines… intermittent fasting explained. 39:40 Ajit’s book… currently writing: A guidebook on how to look at your business in a new light. Being practical with your passion. 43:30 Scheduling your Bucket List… makes it irrelevant. People Profits Purpose – Episode 26 – Extreme Ownership – 5 thinks I’ve learnt from the most decorated U.S Marines. People Profits Purpose – Natalie Ledwell – Episode 24 – Motivational speaker, best-selling author and co-founder of the revolutionary personal Development company “Mind Movies”.